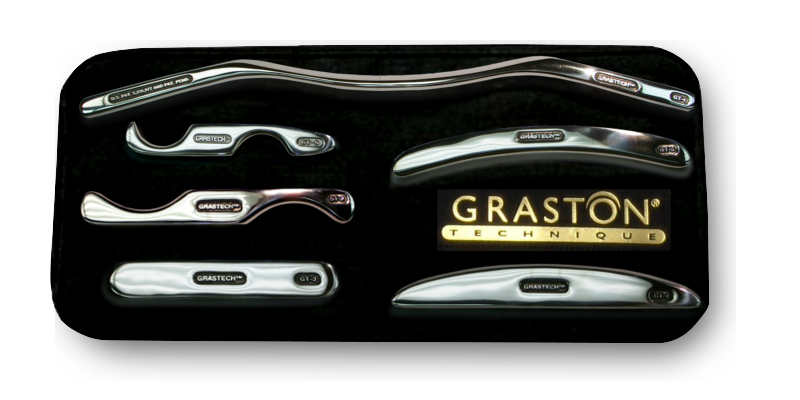 Graston Technique® is an evidence-based form of instrument-assisted soft tissue mobilization enabling providers to effectively address scar tissue and fascial restrictions resulting in improved patient outcomes. Being Offered At All OSR Physical Therapy Locations!!! The Graston Technique is an instrument-assisted soft tissue mobilization technique that utilizes instruments designed specifically for irregular contours of the human body. Used in healthcare professions throughout the US. Utilized in professional sports organizations such as NFL, NBA, NHL, and MLB. ASK US ABOUT OUR SELF-PAY RATES FOR GRASTON TECHNIQUE! If you want to find out if Graston is right for you, or to schedule an appointment with us, contact one of our four convenient locations!! !